When their Hawker Hunters were transferred to the Ground Attack rôle, the Swiss Air Force required a new interceptor. An order was placed for an initial batch of 72 of the Northrop F-5E Tiger II which were delivered at the end of the 1970s and are still operational today, although a replacement is currently being studied. 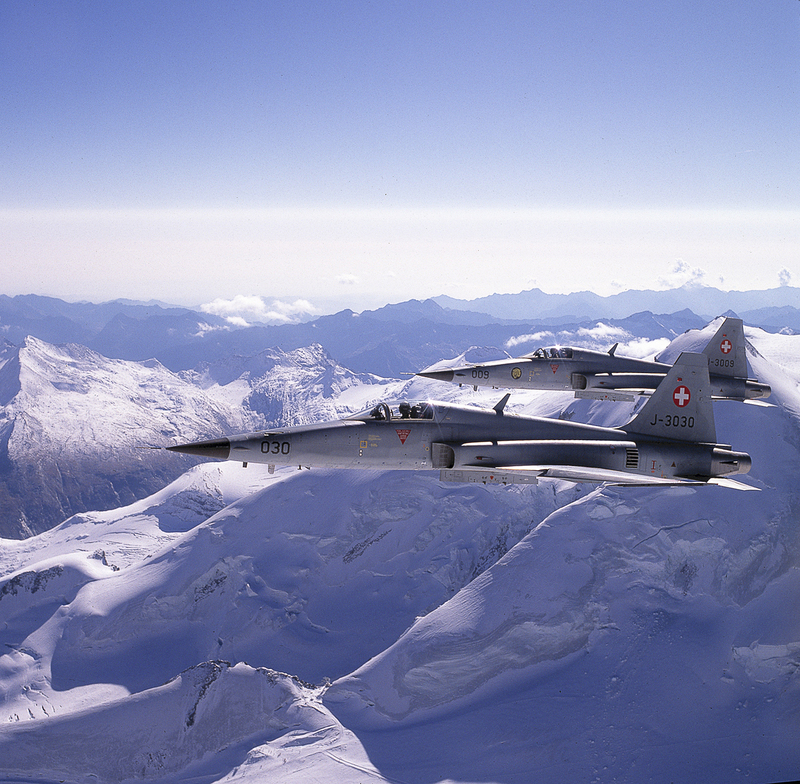 These two aircraft, operating out of Emmen, were shot near Mont Blanc.